Frit Ravich is a family business founded in 1963 by Josep Maria Viader, our current chairman, and it has been run since 1997 by his daughter, Judith Viader, who took up the reins of the company, leading the expansion of the business, brand development and product distribution. 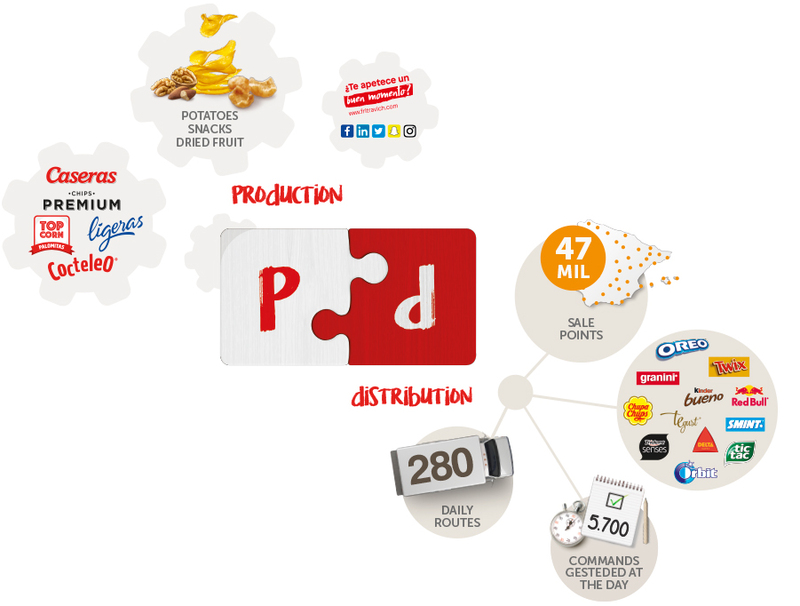 We are makers of crisps, snacks and dried fruit and nuts under our own brand (with 800 specific products) and distribute for external brands belonging to companies of the likes of Mars Spain Nestlé or Ferrero (3,000 specific products), suppliers 50,000 points-of-sale on a weekly basis. We operate in the food, hotel and catering, impulse-buy and bulk-product industries. This dual management model enables us to make the best of both worlds, as we aim to offer value to consumers and customer alike. In 2018, we had a turnover of 235,6million euros, which represents a year-on-year increase of 5.6% , and we currently have more than 1,000 employees. We operate throughout Spain, and in 2015, we opened our first subsidiary in France. We export to countries such as China, Equatorial Guinea, Sweden, Algeria, Malta and Costa Rica, and many more.